The resale industry is big business. Huge, in fact. Thrift stores and antique store sales amount to billions of dollars in revenue each year. In the United States alone, used merchandise stores have a combined annual revenue of nearly $17 billion! Pretty impressive for once castoff items, isn’t it? And the good news is, you can get a slice of that multi-billion dollar pie without having to set up a brick-and-mortar resale store of your own. Thanks to sites like eBay, Amazon, and Craigslist, you can easily start selling second-hand goods for a profit. In fact, some people make a living selling used items online. Think becoming a professional thrift store treasure hunter sounds too good to be true? Think again. Thrift store flipping really can lead to a full-time income — when done right. 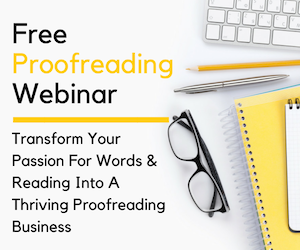 Just ask Wes Davis, expert second-hand flipper turned online entrepreneur and eBook author . While I have some experience flipping items for profit on Amazon and eBay (I once found a Burberry skirt in my local Goodwill that I sold on eBay for hundreds of dollars! ), I’m not nearly as well versed in flipping as Wes. So, I asked him some questions that new flippers might have. And he was kind of enough to offer some words of wisdom, practical advice, and tons of valuable freebies for the aspiring flipper! 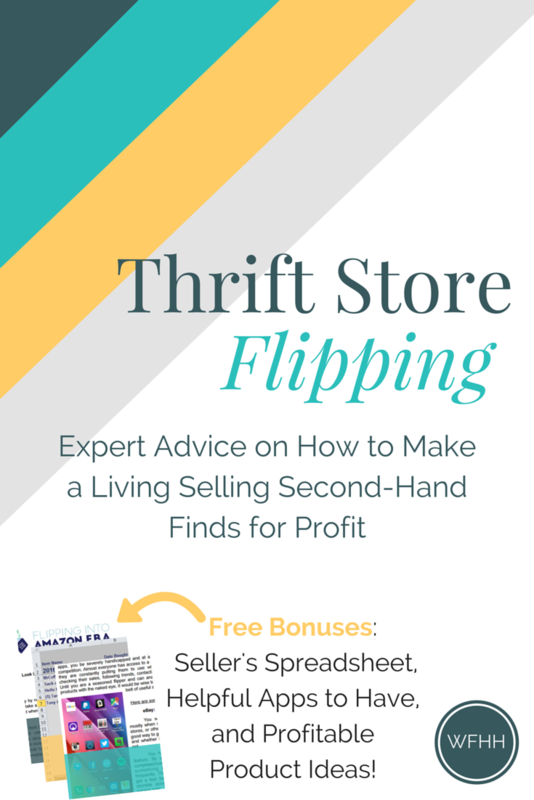 How did you get started as a thrift store flipper? I needed to do something different, and just finding a new job was not an option anymore. I was at home one day and my friend was over visiting. She mentioned that her college roommate would buy vintage coffee mugs from thrift stores and resell them on eBay for beer money. I kinda shrugged it off and just thought it was goofy. Then it struck me, “if someone can do this casually making beer money, what would a more serious and ambitious approach yield?” This is when I first discovered “flipping”. The next day, I went into my local thrift store and did exactly that. I bought a couple mugs, one of which was a Starbucks mug that ended up selling for $15+ and only cost me 25 cents. It was a unique feeling of accomplishment, and a feeling I wanted more of. I was hooked from then on. How long was it before you were generating a full-time income? It was about 4 months after quitting my job that I had replaced its income with that from flipping. I branched from eBay, Craigslist, Facebook, to Amazon, and then eventually Amazon FBA (Fulfillment by Amazon). The greatest part of it all was that I was actually working less–probably half as much–so I had extra time to do the things I wanted to do. I said I had dreams, and buying and reselling online may not be one of them, but it has been a huge stepping stone towards them. It’s probably the best decision I’ve ever made. I’m no longer living in a boring loop, and I’ve actually packed up and moved out to Thailand where I continue to work online selling with FBA and doing FBA consulting from time to time. I’m not rich, but I make a comfortable enough living to afford the lifestyle that suits me. I have the freedom to travel, see friends and family, explore other entrepreneurial interests, and more. When just starting out, should new flippers set a budget? It really depends on your financial situation. Don’t risk anymore than you can afford to lose. But really, you shouldn’t worry too much about costly investments. Items from thrift store are generally cheap already, so you shouldn’t lose too much sleep over a $1 lava lamp that doesn’t sell. As you start making profit, I would suggest reinvesting at least 75% of it back into inventory as your sales increase. This will allow you to continue to grow. It’s also important to be tracking this kind of information too. Here is my personal spreadsheet that tracks all the necessary information to give you an accurate idea of your expenses and profit. You can modify it as needed to fit your personal needs. I always found scouting for products to be the hardest part of flipping! Are there any tools you recommend that make finding products easier? There are several apps I highly suggest in my eBook. Check out this selection of Apps To Have & What They Do. I know the name of the article is Thrift Store Flipping, but are there other places flippers should scout? While thrift stores are the best places to start, you can just as likely find great products to resell from yard sales or garage sales. You can still get great deals on items without forking up too much cash. The interesting difference here is, you are not dealing with a business, but a person just like you or me. They are usually more willing to haggle, allowing you to save and profit more when you resell. There are apps, like I mentioned before, that will help you find these sales, and even map them out for you in the most efficient route. You’ve really hit the jackpot if you can find community sales, so keep an eye out for those too. The key thing to remember when sourcing from places like this though, is to arrive early, sometimes even before opening (you may see other flippers doing the same). Obviously, the valuable items will be picked first, so don’t waste your time by going any later. Should flippers follow a schedule? Yes, making a schedule for yourself is pretty important. Something that you should consider when making your schedule though, is actually your local thrift store’s schedule too. What days to they put out new inventory? What time? When do they have sales? This is actually very useful information to have, and it’s easy to find out too. Go into your local thrift stores and just be a friendly person. It really pays to be the first one in the store on that 50%-off day or the first to browse through newly stocked items. Work the thrift store’s schedule into your own. Decide when you will source, when you will ship, when you will manage your inventory, when you will sit down to list your items for sell, etc. Having an efficient schedule can play a crucial role in your success. Where are some places to sell online? Do you recommend Ebay? Craigslist? Elsewhere? Yes, I really recommend starting with eBay, and then Amazon after you’ve sold at least a few items. eBay is very user-friendly, making it pretty simple to get your first listing up. Amazon gets slightly more challenging, but is still a very important marketplace to take advantage of. eBay and Amazon are the two largest online marketplaces. Here, your products will get the most attention. These are usually the best options, but it actually depends on the item. For example, if you have a bicycle to resell, paying shipping fees would be a little bonkers, right? With items like this, you would likely profit the most by selling locally on Craigslist or in a Facebook buy/sell group. When selling locally, go ahead and advertise on multiple channels until your item sells. Smaller, light weight items typically sell faster and for more on eBay or Amazon though. Should flippers specialize in a certain category or is being a general flipper the better way to go? Flip anything you can! But, as you are first starting, it’s a good idea to try to flip items in a niche you are familiar with. You’ll likely have success much quicker. 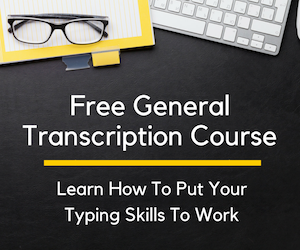 This way, you’ll get some general experience with how flipping works while also building some confidence in your ability to resell online. A lot of people get discouraged and give up when they can’t sell something. That being said, think about some categories you’re knowledgeable about and begin there. Here is, Chapter 6 – What to look for in product & Niche Ideas, which shows you what to look for in a product when sourcing and also some general niches that are profitable. Is it possible to earn a full-time living as a thrift store flipper? Is it best to start small and grow organically? It’s totally possible! Don’t quit your job to become a full-time flipper just yet though. It’s probably wise to treat flipping as extra side income first. See if you’re cut out for it. I was flipping on the side for about 4 months before I decided I had what it takes to turn it into a reliable income that could replace my 9-5. It took a lot of confidence, but with the right ambition and know-how, I made it happen. There’s a learning curve too–it does get easier. If you get to the point where your revenue from thrift store flipping has plateaued, don’t stop. This is when you should begin exploring Amazon FBA, retail arbitrage, and sourcing from big-box stores. It’s possible to even buy and resell across online marketplaces like eBay and Amazon. Buy cheap from eBay, sell for more using Amazon FBA or vise versa. You probably have been to a thrift store or two, and might even have a Goodwill, Salvation Army or local resale shop nearby. If so, great! If not, find the nearest thrift store and start scouting! 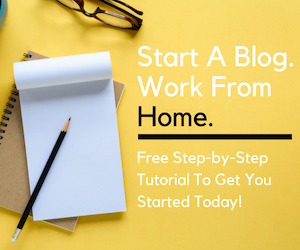 Really, the best way to find out if you like flipping and could see yourself doing it as an online weekend job or even full time is to simply start. Head out to one of these resale shops and, using the helpful tips Wes provided, buy a couple of items and list them for sale. And remember, you don’t need to spend hundreds of dollars to start a profitable flipping business! Wes is a self-proclaimed frugal-minded person who’s learned a thing or two about starting an online business without going broke. In fact, his guide is perfect for anyone who thinks they can’t afford to start an online business. You can connect with Wes on LinkedIn and learn more about flipping for beginners by checking out his guide, Flipping Into Amazon FBA: The Beginner’s Guide. This was a great interview with Wes, Ashlee. It was great of him to share how he got started and what he did to get to where he is today. Definitely passing this along. Have a great new week! Here’s a good thing to try to flip: Nerf guns. Nerf guns are considered toys by many, but if you buy on Craigslist, Letgo, etc., you can buy for example a Vulcan (pretty much a chaingun) or Rayven (rarer gun) along with bullets and other stuff for anywhere from 10-50$, then resell each item individually, like the Vulcan for 40-100$ and the Rayven for a minimum of 50$, but as much as 300$! Thanks for writing this article. I definitely believe specialization is a must when flipping items from thrift stores. Of course, keeping an open mind is so important so you dont miss great opportunities but stopping for every extra penny along the way can really cause a clutter mess. I’ve sold stuff at flea markets before, but never bought to resell. I never knew flipping thrift store items is a lucrative business.